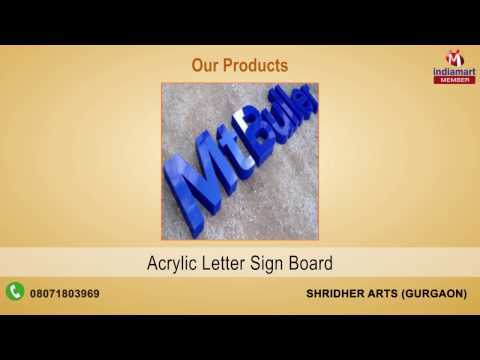 Commenced in business operations in the year 2004, Shridher Arts is a reputed manufacturer and supplier actively engaged in offering an impeccable assortment of best quality Flex and LED Board. These products are made in compliance with the set industry norms by utilizing the optimum quality components and mainly comprise Flex Board, LED Sign Board and Letter Sign Board in different varieties. We are also appreciated in the market as a top class service provider of domain that is known for its prompt & timely services & facilities. Our products are highly recognized in the market owing to their compact design and longer functional life. To cater the precise requirements of our clients in most effective manner, we are offering these products in wide array of technical specifications.